Staying fit in today’s fast-paced world requires dedication, passion, and discipline, while it is often quite difficult to find time to have decent exercise. 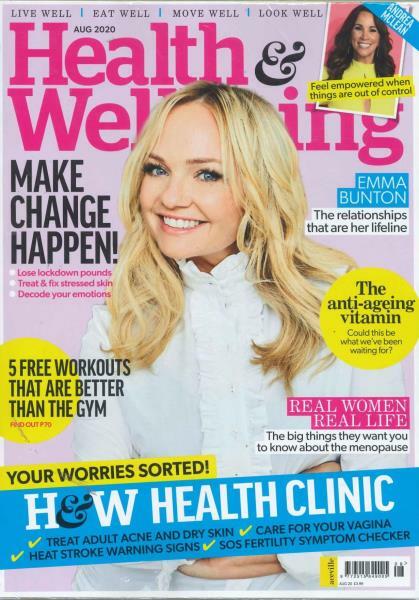 Buy a single copy or subscription to Health and Wellbeing magazine. Additionally, if you’re a woman then you will also find it is even more difficult to find good exercise routines that are specific to your body type that will also help you get the results that you want. Health and Wellbeing is widely considered to be one of the best fitness magazines specifically targeted for women. Whether you need some extra help with motivating or inspiring yourself to get out and exercise, The publication is your one-stop guide to everything related to fitness issues, exercise routines, and heaps of fun and interesting features that showcase the wide world of women fitness. If you are looking for publication that is truly passionate about your health and fitness schedule, then this is the one magazine that also acts as your own personal coach.